The Kids Plus Ladies Luncheon is on next week in the midst of AFL Grand Final festivities. The luncheon is set for GMHBA stadium on Thursday, September 27 the day before the public holiday. 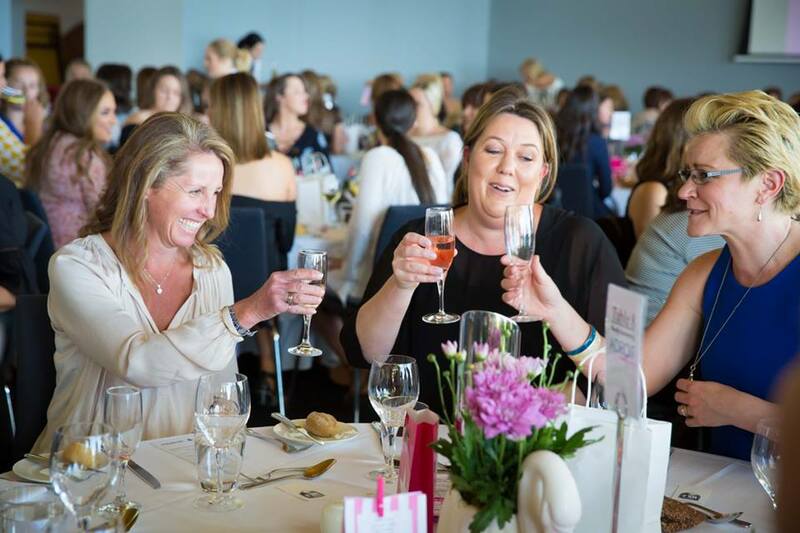 Each year the event is one of the highlights on the calendar for many women in Geelong, and the sentiment is echoed here at Kids Plus Foundation. The luncheon features a two-course lunch with live entertainment from Good Faces 4 Radio. Entertainment also comes with hosts on the day and various raffles and prizes. Artist Rebecca Kate will also be painting live at the event, with her artwork up for auction on the day as well. The event is almost sold out with few tickets available for the event. Tables can be purchased for either 8 or 10 people, and individual tickets can also potentially be arranged. See the email before for details on tickets. We are so thankful for the team behind putting this event on and the many meetings, hours and costs that come with this event. Thank you also to those who choose to attend and get behind, not only a great day, but a great cause. Follow the Kids Plus Ladies Luncheon on Facebook or Instagram to keep up to date. To book a seat or a table, email your request through to kidsplusladieslunch@gmail.com.